Panasonic's Let's Note laptops are only sold in Japan, but the latest refresh of this lineup came with a world record - the Panasonic LX is world's lightest 14-inch notebook. 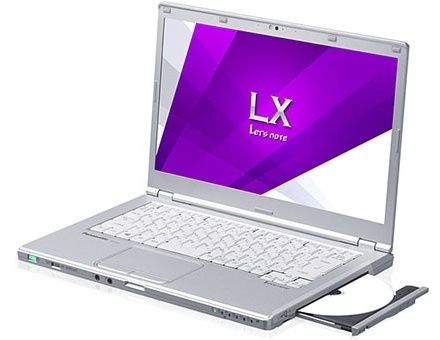 Panasonic's Let's Note Series of notebooks is only sold in Japan, but most models can also be found in the United States, where they are known as members of the Toughbook family. Three models in the Let's Note lineup have just been refreshed. The 12.1-inch SX and NX are accompanied by the flagship notebook 14-inch LX. More than the above, the Panasonic LX may feature an optical drive, available as an extra option. Both the SX and NX models offer similar specs, including Core i5 processors as options. These two 12.1-inch models have an increased battery autonomy, but they are not light enough to break any records. Unfortunately, the pricing and availability of the new Panasonic LX are still unknown and its world record has not been validated by The Guinness Book of Records yet.